The 27-year-old Canadian illustrator talks about her ambitious Web project and the art of simplifying features. 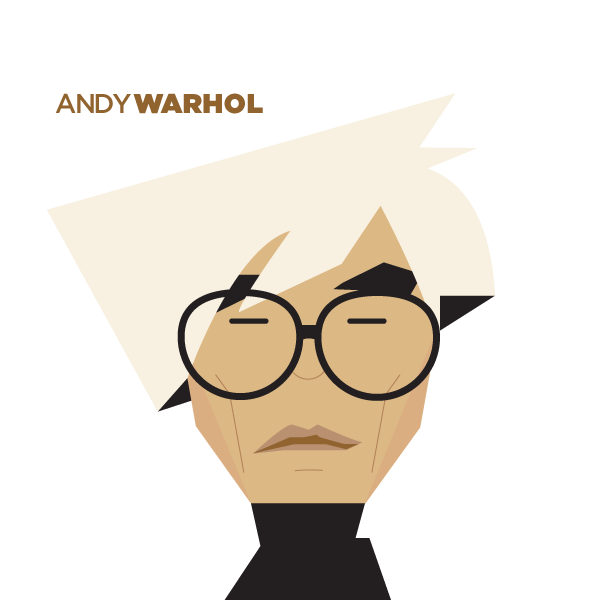 Artist Jag Nagra readily admits that you can count the number of distinct shapes used in her popular, illustrated profiles of celebrities, superheroes, and movie characters. There’s another catch. Nagra completes one illustration per day—with no exceptions. And she will be doing so for each of the next 255 days or so. Over the last three and half months, the 27-year-old Canadian artist has been been posting daily portraits in a project she’s called “365.” Using a half circle for lips, or an upside-down triangle for a goatee, Nagra uses Adobe InDesign to simply and beautifully illustrate the the likes of Charlie Chaplin, Adrien Brody, and Kanye West. 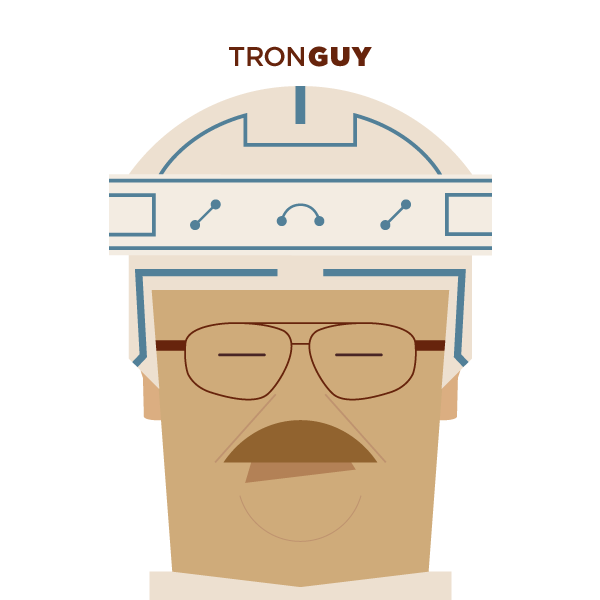 On Tuesday, Nagra released an illustration of Internet hero Jay “Tron Guy” Maynard, which she created using a photo from a Daily Dot story. We followed up with questions about her inspiration, her favorite piece so far, and what happens on day 366. Daily Dot: How do you come up with each profile subject? Is it completely random? DD: What’s the inspiration behind the project? DD: What’s your favorite illustration so far? DD: Almost all the illustrations have slits for eyes. What is the story behind that? DD: What will happen on day 366? Fernando Alfonso III served as an early Reddit and 4chan reporter and the Daily Dot’s first art director until 2016. He’s gone on to report at Lexington’s Herald-Leader and at the Houston Chronicle.